The farm bill directs the secretary of agriculture to protect source water through targeted conservation practices that also benefit agricultural producers. The secretary now has authorization to offer higher payment rates and other incentives to farmers who protect water quality and quantity. Interestingly, the bill also asks that the federal government “recognize and encourage partnerships at the watershed level between nonpoint sources and regulated point sources,” to provide benefits to farmers, landowners and the public. This ask doesn’t have teeth, but it is an encouraging indicator that Congress realizes meaningful conservation needs to happen at the watershed scale rather than farm-by-farm. Throughout the farm bill, conservation program descriptions have been updated to include soil health and carbon sequestration as targeted outcomes. The farm bill also provides $25 million annually for on-farm conservation innovation trials that test emerging conservation approaches. One of these trials will be a soil health demonstration project modeled on the Soil Health Partnership administered through the National Corn Growers Association. This trial will provide incentives to producers to implement conservation practices that improve soil health and increase soil carbon levels. It will also establish protocols for measuring and testing soil carbon levels to evaluate gains in soil health. The farm bill triples mandatory funding for the Regional Conservation Partnership Program (RCPP), which leverages public and private dollars to tackle regional conservation challenges such as improving water quality in the Lake Erie basin or the Upper Mississippi River watershed. With increased federal funding, an estimated $3 billion in matching private sector dollars will be brought to the table to help solve challenges like water quality in Lake Erie and the Gulf of Mexico. RCPP updates in the bill will dramatically simplify the application and renewal process to encourage more project partners and producers to participate in the program. The bill also provides specific authority to fund RCPP projects that help develop environmental markets and performance based payments, a key way to align conservation and profitability to scale impact. With an expanded scope, the Regional Conservation Partnership Program can now fund the conservation, protection and restoration of soil health, drinking water, groundwater and wildlife habitat. Within one year of farm bill passage, the U.S. Department of Agriculture must make two big changes that prepare the agency to seize opportunities presented by new technology, science and best practices. First, USDA’s Natural Resources Conservation Service (NRCS) must develop a process to ensure Conservation Practice Standards reflect current technologies and best practices. The process must expedite establishing and revising standards, consider scientific and technological advancements, and allow local flexibility and input. 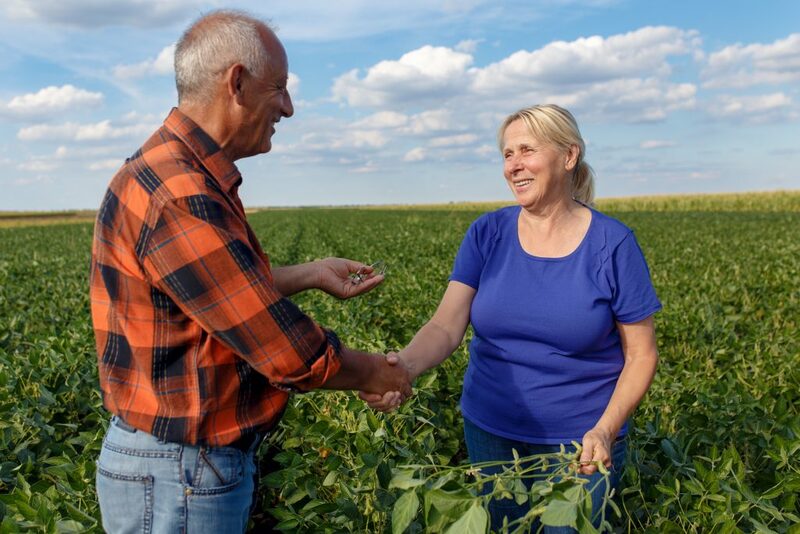 This may seem like a boring administrative issue, but in practice, it will revolutionize how farm bill conservation programs are executed and greatly improve farmers’ experience participating in the programs. Second, the secretary must identify and report to Congress about existing USDA data sets on conservation practice adoption and the effects of those practices on farm and ranch profitability, yield resilience and overall risk management impacts. The report will include the steps that USDA would take to provide university researchers with access to the data while also protecting producer privacy. These updates open the door to a future where policymakers, regulators, landowners and farmers have access to the latest data, technology and scientific insights to advance operational and environmental resilience. It’s an exciting prospect, and we look forward to the conversations that will be started by the changes in this farm bill. The bill comes at a critical moment. Farmers are dealing with a five-year low in farm income and increasingly costly droughts, floods, fires and freezes. Farm bill conservation programs provide a vital source of stability and build the foundation for a prosperous future where people and nature thrive. This entry was posted in Climate Resilience, ecosystems, Partnerships, Sustainable Agriculture and tagged climate-smart agriculture, farm bill, public-private partnerships, soil health. Bookmark the permalink. Both comments and trackbacks are currently closed. This is a positive start. Unfortunately, Paul Ryan attachment within this bill demands continued starvation blockades and military power in Yemen. Sad state of affairs coming from House leader and Wisconsin Rep.where agriculture prevails. Ironic a farm bill that requires continued starviation of children in Yemen . Sounds hopeful! I take the wait and see approach. It boggles my mind how much is dump on our farmers when they are so important to our existence.